Quick Note – I have been getting a lot of request asking if I will make a visit to your school, organization, or conference. Please be aware that I am available to assist you in providing professional development and presentations. I have had the opportunity to network in person across the country and invite your inquiry at mjgormans@gmail.com. Blend My Learning (The Envision Experiment) – Oakland, California high school students who had failed algebra were randomly assigned to one of two summer school classes. The “control” classroom received a traditional five-week summer school curriculum for Algebra 1. The “treatment” classroom used Khan Academy for almost all of the period each day, and both classes had the same teacher. Take a look at their findings. The Economist: Teaching Methods – An Alternative Vote… Using Science To Teach Science – This study involves the theory of “deliberate practice” by psychologist Anders Ericsson. This research team introduced a more interactive, discussion-based and assessment-oriented approach to physics class that strongly implies major improvements to science and engineering instruction in general. Read what they learned. Learning About The Khan Academy – You have heard about Khan and have possible even used the tutorials. Before making your own… take a moment to learn from Khan and discover the method of his success. There really is a lot of thought in each of those clips. Jack McShea in his blog HG2S Training Blog gives an awesome explanation, provides a link to Khan’s TED Talk, and provides other useful Khan Links. 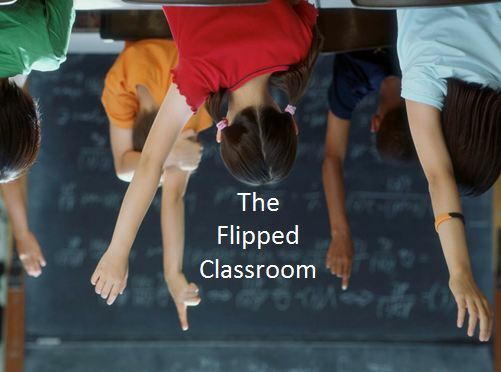 The Flipped Classroom (Shedding Light on The Confusion, Critique, and Hype) – A wonderful article by Aaron Sams , considered a co-creator of the flipped class model and the co-author of the book on the flipped class. In this article Aaron does a wonderful job of describing that one must be careful in defining the “Flipped Classroom”. He makes it clearly understood that Khan is just one type of Flip. A great article allowing educators to begin contemplating what their idea of a Flipped Classroom is. The Telegraph – Think Tank – Flip – Thinking – The New Buzz Word Sweeping The US – Well know writer Daniel Pink (A Whole New Mind and Drive) explains how education may be changing. Daniel tells the story of Karl Fisch (author of an awesome blog… Fischbowl) who is a 20-year veteran of Arapahoe High School located south of Denver, Colorado. He describes how Karl has found success with the Flip. New York Times – (Learning In The Dorm Because Class Is On The Web) – Is this the future? If this turns into a college norm… are K12 schools getting students ready? How might K12 incorporate Flipping (or blended learning) to help students transition to such an environment? Plan B: Flip The Classroom… Every Teacher Should Do This – I include this because the writer, Donald Clark, does an excellent job of pointing out both formative and summative assessment. Before using any Flip concept an educator should investigate their knowledge and practice involving both formative and summative assessment. How might “Flipping the Classroom” facilitate summative assessment through the incorporation of formative teaching and assessment strategies? USA Today: Flipped…Classrooms Take Advantage Of Technology – USA Today article that points out both advantages and some disadvantages to a Flipped Classroom model. This article provides essential ideas to ponder before making the Flip. The Flipped Classroom – A short but very enlightening article on positive applications involved in “Flipping a Class”. This article produced by the Center for Excellence in Teaching and Learning provides an important point to reflect on at the conclusion of the article. It states, “While I’m glad many educators seem to be jumping onboard with this model, my concerns are that some teachers may simply transfer their lectures to video and then have their students write papers or fill out worksheets during class. To me, that is bad pedagogy. However, if significant learning opportunities are capitalized on during class time, this could truly change learning and solve the problem, at least temporarily, of engaging students with material outside of the classroom” Wow… well said! Take a look at the video while you are there. Electronic Educator – Flip Your Classroom Through Reverse Instruction – Follow one teachers path toward Flipping (Reverse Instruction). Once again it is emphasized that class time must be carefully planned with innovative and engaging ideas. It is more than just helping students with what use to be homework! Also it points out that all stakeholders must be informed about the Flip. Make sure you see the videos. The Flipped Classroom Model – The Full Picture – And a full picture it is from a very informative and engaging blog entitled, “ UserGeneratedEducation”. 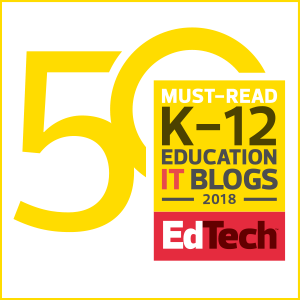 After reading this article any educator will walk away with the idea that the Flipped Classroom is more than just videos followed by paper work. Jackie Gerstein does a wonderful job of bringing the whole idea of the process together. The graphics do a wonderful job of showing how asynchronous and synchronous connections work together to involve both the individual and the group. Plan on having a little time to spend… which will be well worth it. The Flipped Classroom should provide experiences that provide for a formative learning experience. Note that I am not calling it formative assessment. It is the formative learning and on-going assessment in a video game that is powerful in engaging students. In a game, players understand where they stand and where they need to improve. In the flipped classroom, formative learning should be incorporated both on and off line. Formative learning can incorporate video, audio, simulations, games, journals, blogging, peer review and collaboration, and inquiry based activities both in the classroom and on the flip. Last, formative learning should include self-evaluation that can be one of a number of methods including self -checks, reflections, and journals. Most of all, remember that the role of formative learning is to give quality to the final outcome, support the standards, and support real learning. Last, it should be decided how the 21st century skills will be incorporated, facilitated, and assessed. I present a special challenge to those teachers that are always on the flip, in other words “The Virtual Schools”. It is imporatnt that these educators find a way to incorporate Bloom’s higher order action verbs, formative learning, and 21st century facilitation and assessment. Resources To Promote Higher Level Thinking, 21st Century Skills, and Formative Learning in the Flip. Thinkfinity – Verizon Thinkfinity offers comprehensive teaching and learning resources created by content partners – the most respected organizations in each academic subject and literacy. The easy-to-navigate K-12 resources are grade-specific and are aligned with state standards. 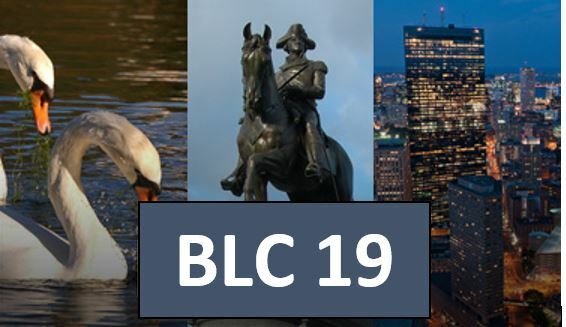 30 Online Multimedia Resources for PBL and Flipped Classrooms – The power of formative learning activities with online technology allows teachers to provide multimedia that can be used individually, in groups, or even at home. The multimedia may be a movie, sound clip, picture, simulation, reading, or game. In PBL, the multimedia may be an entry event, a tutorial, a basis for further discussion and inquiry, or a tool that measures student understanding. It could possibly even be an assignment or activity for students to investigate at home. Best of all, students can even be in control of the speed of delivery and even control their own remediation by repeating sessions. Multimedia can be used to flip the classroom, allowing students to participate and formulate their own inquiry through teacher facilitated posts in content delivery systems such as Edmodo or My Big Campus. Let’s take a look at some of these large mega resource sites. 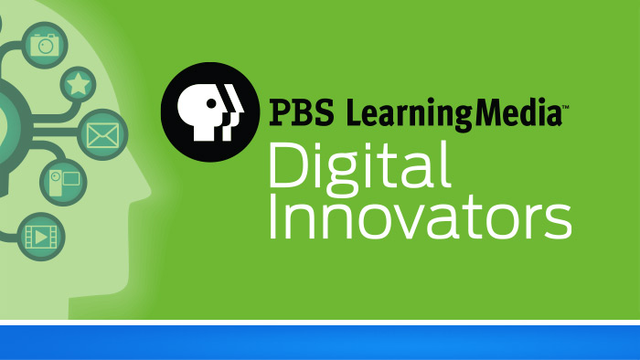 PBS Teachers – PBS Teachers is PBS’ national web destination for high-quality preK-12 educational resources. Here you’ll find classroom materials suitable for a wide range of subjects and grade levels. We provide thousands of lesson plans, teaching activities, on-demand video assets, and interactive games and simulations. These resources are correlated to state and national educational standards and are tied to PBS’ award-winning on-air and online programming like NOVA, Nature, Cyberchase, Between the Lions and more. NeoK12 – Kids learn best when they ‘see’ how things work, when, where and why they happen. Watching educational videos is a great way to learn because it allows kids to build a visual picture or model in their mind. The visual dimension not only helps them understand concepts better, but also stimulates curiosity and encourages self-learning. Educational videos are possibly one of the most effective learning tools, and honestly, even most grown-ups will find them enriching and entertaining as well. NeoK12 ™ also features Web2.0 tools for learning and teaching. Our School Presentation tool, a mashup of Flickr and Wikipedia, allows users to create and share interesting school presentations online. Our Quizzes, Interactive Diagrams and other Educational Games & Puzzles are a fun, interactive way to improve learning. These are also excellent interactive whiteboard resources for the classroom. Other tools allow teachers to create and share video playlists with notes and instructions for their students; find and recommend new videos for NeoK12. Classtools.net – This is a site that you are bound to find useful in your classroom. The tools are incredible and may even include items you have used on paper in the past… but can now bring digitally into the 21st century! Intel Thinking Tools – Welcome to a series of articles based on Intel Thinking Tools, an amazing set of free tools from Intel. The three tools I will be highlighting in this and future posts are are just a small set of what Intel offers for free: Free: Visual Ranking Thinking Tool… Powerful Student Collaboration! , Free: Seeing Reason Tool…High Order Thinking, Mapping, And Collaboration! , Free: Showing Evidence Tool… Collaboratively Construct, Evaluate, And Defend! Learning with Media – Research article that contrasts the idea of students learning from technology to learning with technology. A Model of Learning Objectives – Among other modidications, Anderson and Krathwohl’s (2001) revision of the original Bloom’s taxonomy (Bloom & Krathwohl, 1956) redefines the cognitive domain as the intersection of the Cognitive Process Dimension and the Knowledge Dimension. This document offers a three-dimensional representation of the revised taxonomy of the cognitive domain. You may find this document useful as you explore. A Model of Learning Objectives – Among other modifications, Anderson and Krathwohl’s (2001) revision of the original Bloom’s taxonomy (Bloom & Krathwohl, 1956) redefines the cognitive domain as the intersection of the Cognitive Process Dimension and the Knowledge Dimension. This document offers a three-dimensional representation of the revised taxonomy of the cognitive domain. You may find this document useful as you explore. Ten Sites Supporting Digital Classroom Collaboration In Project Based Learning – This PBL Mania post will explore some of those collaborative Web 2.0 tools that can enhance the PBL experience. Allowing students to network while immersed in PBL is so important. This could include communication and collaboration student to student, student to teacher, and student to expert. Below you will find a small collection of tools that might just help make collaboration even more amazing through the use of the online environment. Whenever using any online tool make sure students are practicing good digital citizenship and responsibility. Also be sure you are aware of your school’s AUP and each site’s user policy. Now let’s take a look at some of these tools. Edmodo – This website is a secure, social learning platform for teachers, students, schools and districts. The site provides a safe and easy way a class to connect and collaborate, share content and access homework, grades and school notices. A goal of Edmodo is to allow educators to harness the power of social media to customize the classroom for each and every learner. My Big Campus – I like to describe this as a mix of Edmodo, Blackboard, Twitter, and Facebook built for the educational community. It is a wonderful and safe place for students and teachers to conduct communication, collaboration, or an entire class. It has all of the resources needed to host a PBL unit. On amazing feature, it incorporates Lightspeed’s filters to monitor and report on student action. Best of all it is free. Learn more about My Big Campus at this past 21centuryedtech Post. Moodle – I would not want to forget free an open source Moodle. It has been a friend of many classrooms for years. It can be installed on school networks and there are various Moodle servers. ePals – This link will direct you to the free portion of ePals Global Community. It is the world’s largest network of K-12 classrooms, enabling students and teachers to safely connect and collaborate with classrooms in more than 200 countries and territories. Offered at no cost to classrooms, educators can access the community to find collaborative projects, join discussions in the community forums, and search thousands of classroom profiles to engage with others in authentic exchanges – all within in a safe, protected online environment. This free community provides a platform to make PBL a relevant real world experience. iEARN – An amazing community and platform covering 130 Countries, 30 Languages, 40,000 Educators, and 2 Million Youth. iEARN (International Education and Resource Network) is the world’s largest non-profit global network that enables teachers and youth to use the Internet and other technologies to collaborate on projects that enhance learning and make a difference in the world. At iEARN you will a unique way to engage students in project based learning that extends beyond the four classroom walls. GlobalShoolNet – A group that includes a mission to support 21st century learning and improve academic performance through content-driven collaboration. You will discover e-learning projects worldwide to develop science, math, literacy and communication skills, foster teamwork, civic responsibility and collaboration, encourage workforce preparedness and create multi-cultural understanding. Take a look at some of the outstanding efforts including a Product Registry area that allows educators to find projects and potential partners. How about an International Cyber Fair or check out the Doors to Diplomacy project. Ted-ed – TED-Ed’s commitment to creating lessons worth sharing is an extension of TED’s mission of spreading great ideas. Within the growing TED-Ed video library, you will find carefully curated educational videos, many of which represent collaborations between talented educators and animators nominated through the TED-Ed platform. This platform also allows users to take any useful educational video, not just TED’s, and easily create a customized lesson around the video. Users can distribute the lessons, publicly or privately, and track their impact on the world, a class, or an individual student. TED-Ed’s videos aim to capture and amplify the voices of the world’s greatest educators. To achieve this, we pair extraordinary educators with talented animators to produce a new library of exceptional educational videos. This website, similar to TED.com, is ever-evolving and we depend on you, the TED community, to nominate inspiring teachers that have touched your life or clever animators who have the skills to bring a gifted teacher’s lesson to life. As you can see… the simple definition, “the teacher provides videos for homework while traditional home work is done in class under teacher supervision” does not quite fit the bill. In fact, this alone may turn a Flip into a Flop. Educators must first begin any Flip with a well thought out understanding and follow that with a plan of action. After developing your concept of a Flip classroom you may decide to take a little more time reading, researching and planning. Most importantly remember that students should always be at the center of instruction. The idea of Flipping is another one of those wonderful peripherals we find in the true 21st century classroom. Wow- what a great, comprehensive source- I love that you added Thinkfinity- it is good source for me as well. I’ve “evernoted” this page for future reference as I attempt a second semester of flipping. Thanks for the comment and I wish you the best as you try new things in the classroom! I will look into it. Thanks for the contact! Wish you the best at your conference! Not only is this a great set of resources, the context you provide makes them really useful–and leads us, I think, toward a deeper conversation about the “flipped” strategy than what the surface description suggests. Thanks for the thoughts and reflection! You are awesome. We have to catch up some time when both of us can get a breath! Great list of resources…thank you for sharing them all in one place! I can’t wait to dig into some of these in more detail. This is great. Thanks for putting together a very thorough list of research and resources. Have you seen anything on the flipped classroom utilized in a language classroom setting? Most of what I have read and gone through is focusing on math and science for the most part, but virtually nothing on second-language acquisition. I would greatly appreciate any insight you have on this. I really feel that flipping a language arts classroom can be a combination of flipping instruction and flipping learning. Probably one of the better ways is to post something to view, listen to, and analyze. Encourage high level discussion and interaction. This is just one technique… flipping does not have to be all instruction although their are areas in LA where this would even work. Thanks so much I appreciate all of your hard work as I’m currently working on a Capstone paper on the flip this is amazing!! Great collection of articles and information. Can you offer any suggestions on gaps in research? Beginning my dissertation shortly and looking for an avenue to take it. Probably qualitative as I won’t have access to a control group. But what do we still need to know? Thank you for your wonderful page of resources. I am also beginning the dissertation process, but I will be focusing on flipped professional development. There isn’t much out there using the flipped model in PD. Can you suggest any resources for me? Hello. Are you aware of any rubrics that have been developed for evaluating the implementation of the flipped classroom? Thanks a bunch!